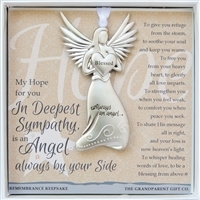 When you need a gift for someone who lost a loved one, The Grandparent Gift Co. has exactly what you're looking for. Our selection of bereavement gifts includes memorial frames and ornaments that hold photos of family members who have passed on. 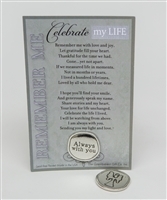 Each comes with a poem to honor the memory of the departed, be it a parent, grandparent, child or infant. 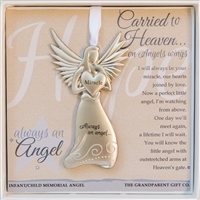 Other funeral gifts include keepsake ornaments in the shape of angels, hearts and crosses to uplift those who need comfort during times of grief. While our hearts are heavy when we package these gifts, we hope they'll be a source of comfort, healing and remembrance for someone struggling with a difficult loss. The Grandparent Gift Co. also stocks memorial gift ideas for those who have lost a beloved pet. 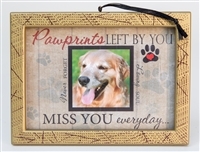 Photo and collage frames can be displayed anywhere in memory of a furry friend who was a precious member of the family. 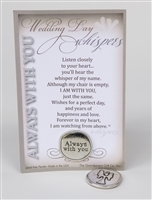 These unique sympathy gifts can be treasured for years to come as heartwarming reminders of loved ones.